The deal imposed by the Eurozone grouping on Greece is nothing short of shameful. It continues to pile up the debt, reducing Greece to the status of a debt colony of the rich, Northern European countries. It, like all austerity programmes, expects working people, pensioners, the young to pick up the tab for payments that never touched the Greek economy. It puts the kibosh on Syriza’s radical manifesto and any hopes the Greek people had on ending the entirely preventable depression the country sits in. And naturally, as every crisis is an opportunity to make money, parts of the Greek state are to undergo forcible privatisation. This is yet to make its way through the Greek Parliament, but nevertheless I think Tsipras and his comrades have done the best with the awful hand they were dealt. For those screeching betrayal, spare a thought for Syriza’s position – it does not command an overall majority, it presides over an economy in a state of collapse, is harried by the big powers who’ve used their clout to undermine the government as much as they can, and was elected by a people bone weary of austerity but want to stay in the Eurozone at any price. When those are the circumstances, what else could have been done? While Syriza’s appeals for solidarity across Europe didn’t get much of a mass echo, the shoddy and stupidly self-destructive way they’ve been dealt with by technocrats and politicians from Germany, Italy, and Spain will have a lasting impact among left wing activists. What the ceaseless negotiations and brinkmanship have unveiled is an unyielding cruelty at the heart of the European Union, where a member state can see its population reduced to further penury at the stroke of an accountant’s pen. It could be, as far as British politics are concerned, just the spur a new left wing Euroscepticism needs. Yet why is it that prior to the Greek crisis coming to a head (again) this was barely a ripple in the political pond? Where are the left wing Eurosceptics? In one sense, they’ve never really gone anywhere. Some remnants of the old Bennite left cling to Euro-critical positions. The ‘official’ Communist Party of Britain believe the EU to be a neoliberal project that circumvents the democratic checks nation states can exert on capital (kinda hard to dispute after this weekend’s display), and my erstwhile comrades see it as a “capitalist club” with no progressive content whatsoever. These are very much fringe positions that are unlikely to gain much traction in our in/out referendum campaign unless the Greek crisis rumbles on/flares up again. Yet why should they be on the margins of political life? Why does the mainstream left fight shy of being overly critical of the EU? Brainstorming a few reasons, there are the very good reasons why, as a rule, the trade unions are supportive. Originally the bastions of left Euroscepticism themselves, the course of industrial struggle in the 80s and 90s helped mold their views. As the Thatcher and Major governments pared back workplace rights and imposed ever more restrictive regulations on trade unions, ‘Europe’ with its social chapter and enhanced protections for employees was something to aspire to: the labour movement had a stake in the EU. That stake materialised when Tony Blair signed Britain up shortly after the 1997 general election and has since then acted as a guarantor of certain rights. While not all trade unions are pro-EU (the RMT for instance), the majority see the EU as a convenient ally in the protection of their members. What purpose is served by being critical? The municipal left, primarily the Labour group in the Local Government Association, but also councillors for the SNP, Greens, etc. are also unlikely to take a critical view. Starting in the late 80s where the economic regeneration of towns and cities came to the fore as pressing local political issues, where government was reluctant to stump up the monies the EC/EU were an alternative funding provider – especially via the European Regional Development Fund. There are thousands of buildings and community facilities that now exist become local authorities applied for and were granted monies, and even today there are various cash streams that can be applied for for similar purposes. If the EU was seen as more willing to invest in post-industrial communities than the right wing government of the land, on what basis can the municipal left be critical? From the perspective of the Parliamentary left the EU was a realisation of social democratic values. Even while neoliberalism was written into EU documents often at the urging of our New Labour government, the EU was the repository of an internationalist ideal (albeit from above) in which European citizens benefited from continent-wide social-democratic policies and do-goodery. By pooling sovereignties Europe had more kick on the world stage. Rather than being pushed around by the winds of global market forces, it was large enough to make weather in its own right in clear contradistinction to those on the right who prattled on about national character and national sovereignty. For British centre left MPs, the EU was a bastion of progressive, modern, and forward-looking politics – everything Britishness, and particularly Englishness, isn’t. 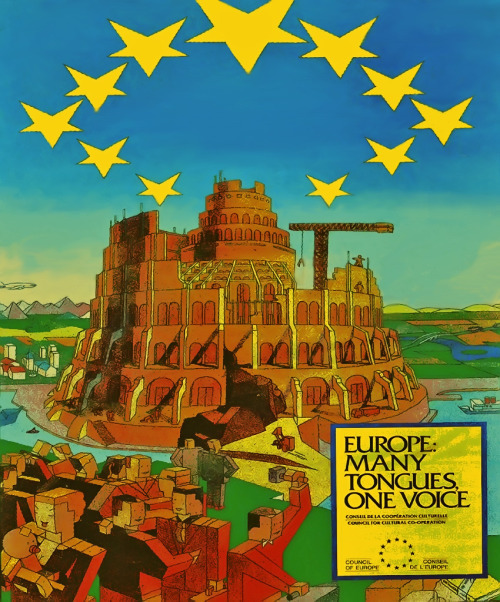 These were components of the European Idea, a shining beacon of cooperation across borders and solidarity between peoples divided by war in the recent past – even radical MPs see it this way. How then can the left be critical? Then there are the simple practicalities of governing. The free market may bring perceived social problems, but on inflating GDP, tackling climate change, cracking down on organised crime, and being able to strut around the stage like a senior world figure. All of these are very good reasons to not be outside the EU. Anyone willing to argue the moves to mitigate climate change would be better if Britain acted alone? And last of all, there’s the simple matter of positioning. The most regressive and boorish elements in politics have made anti-EU tub-thumping their cause celebre. Who on the left would want to be politically associated with Boris Johnson, Peter Bone, Melanie Phillips, Nigel Farage, and Nick Griffin? Doesn’t a critical attitude vis a vis the EU also entail lining up with them? These are the props that have kept the mainstream left EU-friendly. Putting aside the awful way Eurozone leaders have acquitted themselves over Greece, the biggest threat to any of these are Dave’s negotiations. If he reverts to type and “unsigns” the social chapter, what vision of the EU is being sold to the British public? A big market and that’s it? If that’s the case, there’s every sign more unions could become alienated from the EU project, and f they go tens of thousands of activists will too. Yet if the member states tell Dave no because they won’t be bounced into an arbitrary timetable set by the Tory manifesto, it’s very unlikely mainstream left support for the EU will unravel. Of course, it’s ridiculous that this is the case. Sensible socialist politics surely means having no sacred cows and understanding that the EU is simultaneously progressive and regressive, that it could become something so much more but is always in danger of sliding into something less than the sum of its parts. Our comrades in Europe raise the idea of a ‘Social Europe’, the struggle for a continent that strives to imbue the rarefied values of the European project with the flesh and blood of real social content. That should be the socialist starting point – neither Euroscepticism nor Europhilia but Euro-realism, Euro-solidarity, and Euro-internationalism. A New Deal for Greece, and for Europe? Posted in: Economy, Europe, International, Labour, Macroeconomics, Outside Left, Politics. Sign up for the Facebook Campaign: EU Referendum: Vote Out for a Socialist Europe. Seems to me that in the end Greece had a simple and brutal choice; either become like Romania under Ceaușescu or Cuba under Castro, god help them. Anyone who thought that the Greeks could get away with not paying their dues needs their heads examined. At the end of the day its the Germans Brits and French and the rest of the EU, paying for their mistakes. That means you and me, and I’m not too happy with that. And don’t listen to the Euroskeptiks; Britain belongs in Europe. Brexit would lead to thousands losing their jobs. At least the Greeks are sensible enough to remain in the Euro. Solidarity means working with our European colleagues, not competing against them. Can we then expect a rebait from the Banks once they balance their balance sheets then. Thought not, they will never balance but Europe is still bailing them out with Quantitative Easing, printing money, which they refuse to do for Greece. Ideologically though can you justify why the EU are bailing the Banks out and not the Greek people, or is it just that people need to be taught a lesson? The big problem with what has been done to Greece is that as well as the majority of the European left being suckered into a pro-EU by default stance (as opposed to a pro-united working class Europe), is that both inside and outside Greece far too many fell for the fake-left Syriza. The sell-out was always going to happen, the only question was when. But while the Syriza love-in continued no one was looking too closely at the real forces in the streets and workplaces and balance of power. The KKE and the trade union group PAME were correct in their analysis of Syriza from the beginning, but for their trouble all their got was accusations of sectarianism. There is still much to play out in Greece, and the key will be how the Greek working class responds to more austerity and mass privatisation (which was the real prize all along for the EU). One factor implicit in the analysis is that the confidence of working people to challenge neoliberalism has been the considerable undermining of independent trade union ‘political activities’ by the Thatcher-Blair missions. Confidence in such activity being replaced by top-down directives – sometimes beneficial, but always top-down rewards. Weakened trade unions then become so dependent upon (miserly) ‘working time’ directive type benefits for future credibility that are seduced by the social democratic vision of doing things for people (sometimes do-goodery) rather than seeing actions by civil society as the only means to securing valuable lasting social change. Syriza – the death of the fake far left, as others have said. Neolibs win again and again….and yes the left case against the EU is unanswerable, as most of us knew. If Labour recommends yes to staying in Europe, then let all hell break loose…. I agree with Phil B-C that we must avoid simplistic stances which just reject the EU as wholly evil or embrace it with no criticism. It needs to be analysed not as monolythically good or bad but as an arena for class struggle. Such an approach, P B-C suggests, will show both a reactionary and a progressive content. So let the debate be a proper one in which we make an effort to take on the strongest features of the case we are initially, at least, inclined to reject. The voice of reason within me would encourage efforts to salvage what little good there may be in an organisation/institution. I am sure that if I put my thinking cap on I might find some value in the Tory Party. However with all the important issues that face us at a time like this is this really a worthwhile priority to absorb my limited distribution of energies. You seem to be making a plea for simplistic solutions. Not a good idea in my view. Yes, it takes a lot of energy to analyse the contradictory nature of a complex entity like the EU (a bit more complex than your analogy of the Tory Party). But the complexity of a problem was never a good reason for not thinking about it. A sensible article, unlike the ill – considered one from Owen Jones, which I nevertheless fear heralds a rebirth of left euroscepticism in the UK, or at least England, where there has long been an insular tradition of ‘building Jerusalem in England’s green and pleasant land’. The facts are that while there are huge problems within the EU, mainly connected to the Eurozone, there is no reason why the EU cannot be reformed in a leftward direction. That is what the considerable forces of the left in the EU are striving for, particularly the growing left parties grouped under the banner of the Party of the European Left. We in the left here should be part of that movement, helping to fight nationalism and neo fascism and striving alongside them for a social democratic and eventually socialist EU, the only basis, because of its size, for controlling international capitalism in Europe. A UK out of the EU would be the plaything of big corporations while boosting the power of the reactionary nationalist right. There is no valid left euroscepticism. We must make common cause with our comrades in the EU. Yes, Owen Jones has many talents, which I appreciate and applaud, but analysis of controversial issues on the left is not one of them. Drawing up lists of the misdemeanours of an agreed enemy and presenting them in a clear and coherent way is good stuff when it is a matter of challenging common perceptions to the contrary and he does that well. When it comes to sorting out the issues in an area where there are deep divisions on the left based on very different understandings the journalistic technique described above is not very helpful. Like Peter I thought that Owen Jones “Lexit” argument was very unsatisfactory. We all have our misgivings, and Owen jones is no exception, but you can’t put a young head on old shoulders, what I do applaud is that he has opened the debate on Europe that now needs to take place. Clearly Greece and TTIP show that real democracy is at stake here and that the corporate takeover is real. The dilemma for the left has always been the media, we have now got the technology to circumvent them and is working well, most of us would not be able to respond on these threads were it not for the internet. The exchange of information has been core for the left to grow, and it is growing. It takes time for ideas and exposes’ to sink into the publics psyche that counter the propaganda that the media peddle, but like never before more and more are sceptical about the news content and information on the BBC. I would suggest for example one reason that Labour lost the last election was it’s Neo-Liberal agenda, and that Ed Miliband was trying to walk a tightrope of balancing maintain just enough support to become the leader of the largest party, whilst forming a coalition with the Libdems. I do not believe he seriously wanted a majority Labour government, because of the continuation of the privatisation agenda, and coalition government gives a party the same excuse as the previous one, that they could take credit or blame the other for unpopular policies. But of course weak opposition disenchanted real Labour supporters and reinforced Tories own support, in effect a powerful opposition that exposed the Tories lies (the deficit) would have disillusioned Tory voters, who themselves may have stayed at home. Which is what happened for Labour. Over the years people like myself have campaigned to change peoples political perceptions, that has always been thwarted by the propaganda machine, but over time those that have been saying what I agree with have sown the seeds in peoples minds what the Neo-Liberal agenda has been all about. The Tories have used Naomi Klein’s understanding of events, (the shock doctrine) to impose cuts and privatisation and it has taken a long time for people to assimilate that this is real. Well we now have explicit evidence from the house of Lords itself that as we have consistently declared on the left, that the Neo-Liberal agenda is not a figment of our imagination, but real. This NHS campaign document spells out in no uncertain terms what the Tories are really doing to our NHS. and this is what they say through Hansard. If Ed Miliband had wanted to save the NHS, he would have weaponised it at the last election, instead of course he knew that if he had he would have been exposed like the Tories are here today. The preferred Provider meant more privatisation not less, just at a slower rate, classic Blairism. I would emphasise that I have introduced this as an example into the debate, but would also urge that members to disseminate these links as widely as they can and expose what the Tories plans always were.